We are now accepting applications for summer camp jobs for Starcamp leader positions for 2019. All applications must be via the online form below. We pride ourselves in selecting the very best STARCAMP leaders that we possibly can. We DON’T just hire supervisors to play with and oversee the children.We hire the most professional, talented and warm leaders that Ireland has to offer. With an obvious requirement to sing, dance or act, it is also essential to have that natural gift and ability to work with and care for children in a unique and rewarding fashion, to find their unique talents and to bring out the very best in them. It is an essential requirement to have worked with children in the past. 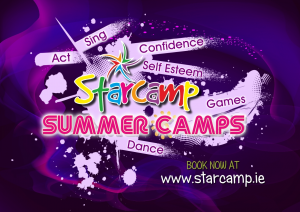 An exciting opportunity exists for the right candidates to be a Starcamp summer camp leader for Summer ’19. Do you fit the description above and are you available for a MINIMUM OF 7 WEEKS/LOCATIONS including ALL OF JULY and the first 3 weeks in August ’19, then please fill out our application form and apply for our Summer Camp Jobs. CAN I APPLY FOR MORE THAN ONE LOCATION? When filling out the form, ensure that you list ALL POSSIBLE SPECIFIC LOCATIONS and corresponding dates that you could work throughout the 7 weeks that the summer camps run, and although we will endeavour to place leaders in their preferred location this is not guaranteed. Repeat staff will get selected first for their preferred location.The more places that you are available for work the better! Given the nature of the business if a minimum number of bookings are not achieved for a venue work may not be available that week. All staff are expected to attend a training day which is non-paid. WILL I BE REQUIRED TO UNDERTAKE ANY BACKGROUND CHECKS? 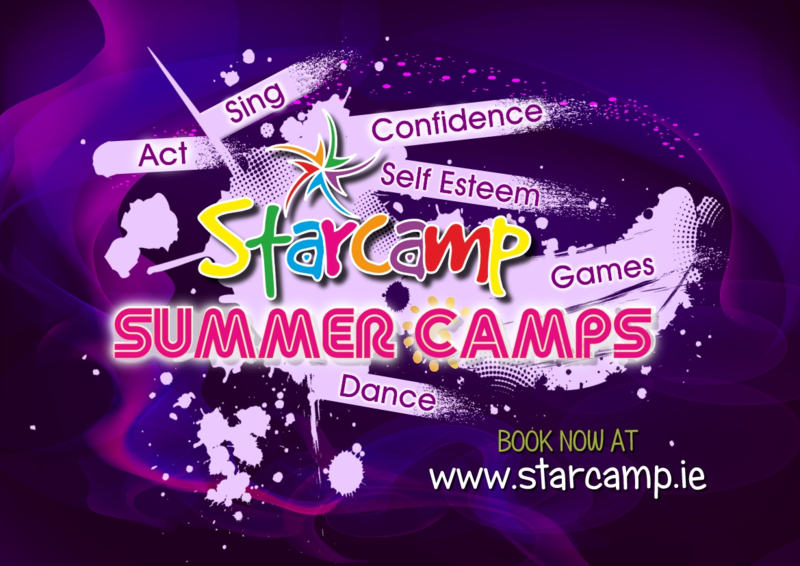 As Irelands Leading Performing Arts Summer Camp provider Starcamp has a duty of care to ensure we are making safe recruitment choices when appointing the best staff for our camps! Please forward by post a signed Garda Vetting application form available through the link below. Please note an application will not be treated as valid unless an Original Garda Vetting application form is received by post. As STARCAMP run non residential camps all staff are expected to have their own accommodation and be able to travel daily to their STARCAMP Camp venue.